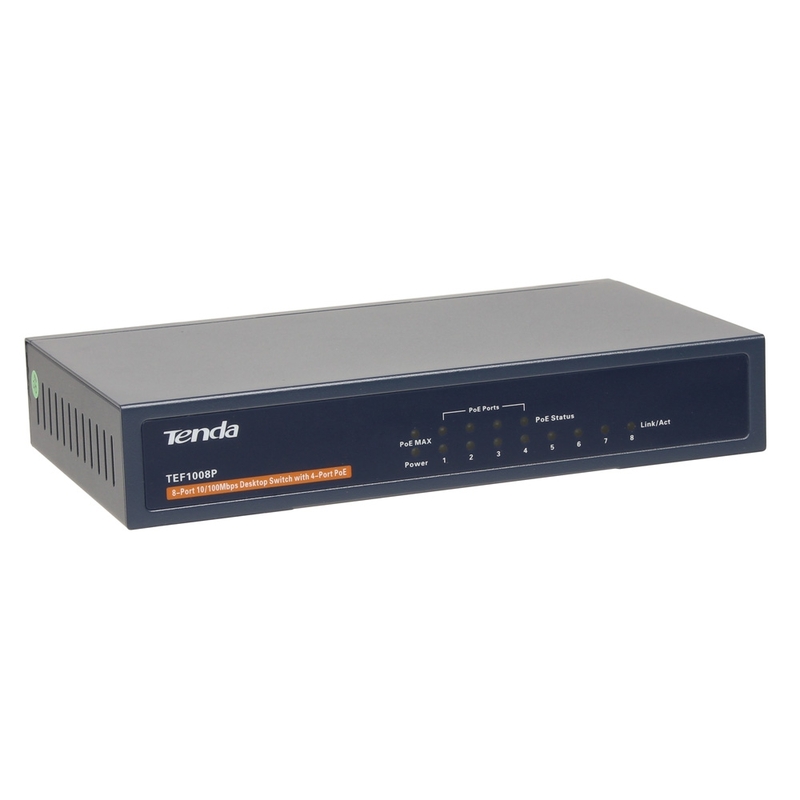 Walnut City, Calif. – October 14, 2015 – Tenda Technology Inc.®, a subsidiary of Shenzhen Tenda – an experienced, global brand of wired and wireless networking hardware – today announces availability of the TEF108P in America. 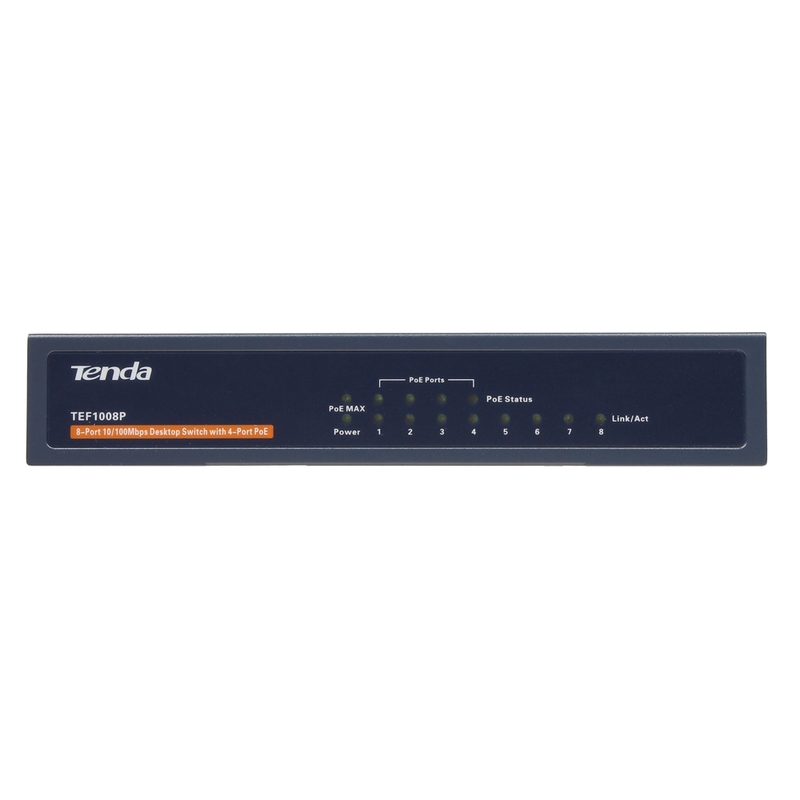 TEF108P is an eight-port 10/100Mbps unmanaged switch that requires no configuration and provides auto-negotiation and four PoE (Power over Ethernet) ports. This desktop switch is designed with ease of installation and management in mind. RJ45 auto-negotiation ports remove the need for a complicated pairing process and the four PoE ports eliminate the need for sockets or drilling. The TEF1008P easily expands any home or office network to reach IoT and Security devices in tricky locations. The TEF1008P requires no setup nor installation. It can auto negotiate the handshake with compatible devices. PoE means only one cable is required to connect each device. Developed for desktop applications and simplicity, the durable case and fan-less design ensure silent, prolonged use. Ports one through four support AT/AF standards and provide up to 40W of power to connected devices. This allows the use of just one cable for data and power, allowing for more convenient positioning of compatible devices. For example, a wireless access point can be installed in the ceiling where there are no power outlets. It saves costs if otherwise power outlets or wires would have to be installed. PoE eliminates wire clutter and increases safety by simply eliminating the power line. The TEF1008P furthermore supports Cat 5e cables to increase the power supply and transfer distance up to 150m. This give much more flexibility in the placement of devices as it can expand the network to where there are no power lines or outlets for devices. The TEF1008P automatically pairs with and assesses end devices, dynamically delivering the correct amount of power as needed. This makes the end device more flexible and portable. The end device can also be restarted and power cycled remotely. As there is no need to physically press the power button, devices can be placed anywhere an Ethernet cable can reach. The TEF1008P complies with IEEE 802.3, IEEE 802.3u, IEEE 802.3x, IEEE 802.3af, and IEEE 802.3at standards. 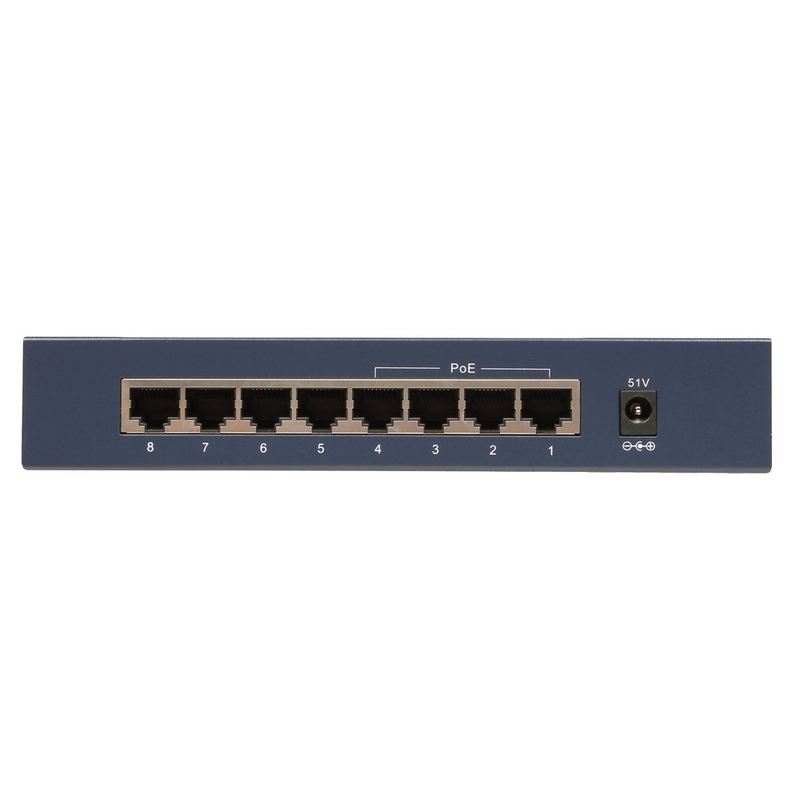 All eight Auto-Negotiation RJ45 ports support Auto MDI/MDIX, while the four PoE ports (ports one through four) support the IEEE802.3at/af standard for Power over Ethernet. Each port is 10/100Mbps giving the TEF108P 1.6Gbps of total backbound bandwidth, a 1.19Mbps packet forwarding rate, and support for non-blocked wire speed forwarding.